Growth Track takes place every Sunday after service and is made up of 4 steps that will help guide you to discover your purpose. Does God have a plan? Discover the spiritual journey that God has for each of us. Step One takes place the first Sunday of every month. What is church? Learn “why we do what we do” and how church can help you grow. Step Two takes place the second Sunday of every month. Where do I belong? Discover your personality type and spiritual gifts. See how they indicate your purpose in life and best fit at church. Step Three takes place the third Sunday of every month. How can my life make a difference? Explore different opportunities to serve others with your gifts and join the Dream Team. Step Four takes place the Fourth Sunday of the month. Take a step today! Classes are 1 hour and can be taken in any order. If you miss a step, don’t worry, it will repeat the following month. Child care and lunch are provided. 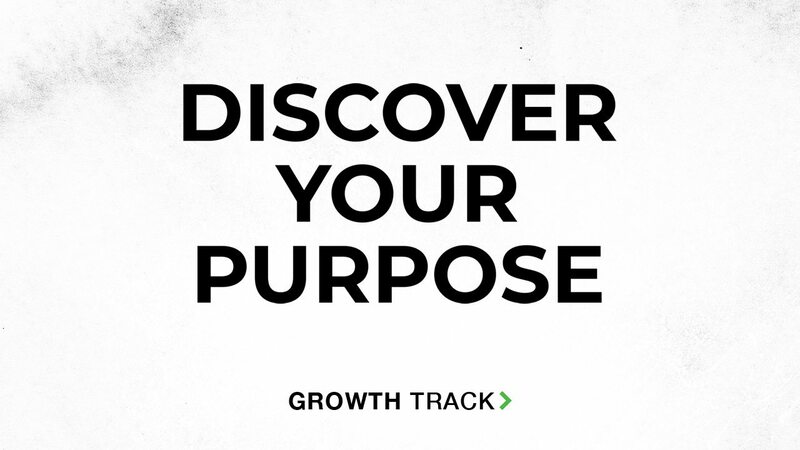 Growth Track is a series of 1 hour workshops designed to help you discover your purpose and live the life God created for you. GT happens every month in four consecutive Sundays, starting with Step One on the first Sunday of the month. We invite you to jump in at any time.